The modules are designed to be self-study, to provide candidates with the autonomy to manage their time whilst coping with their work schedules. Ample resources are available, including access to an online learning portal to support a candidate’s progress through the Programme. This combination creates an environment that encourages our candidates to develop strong technical skills, appropriate values, ethics and attitudes, outstanding professional competence and an exciting future in which they are capable of making a positive contribution to the profession and society. 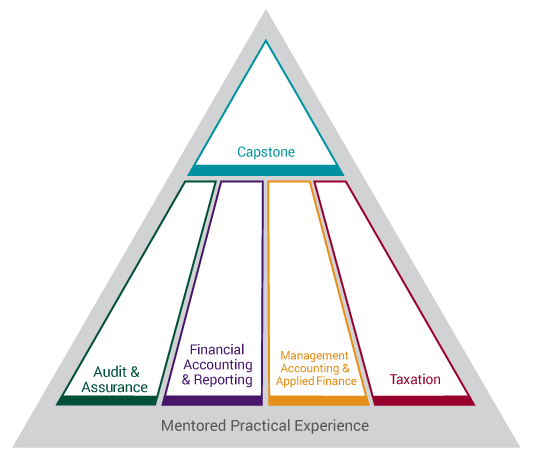 Our holistic approach to the development of competencies fulfils employer and public expectations that our CPAs can be relied on to provide accurate, complete and independent information and advice. Graduates of our Programme are entitled to memberships with both MICPA and CAANZ, and therefore the use of 2 titles – Certified Public Accountant, Malaysia or CPA (M), and Chartered Accountant, Australia & New Zealand, or CA (ANZ). Note: The Taxation module will be based on Malaysian tax laws and regulations. 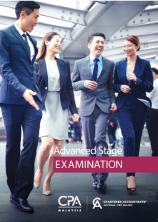 The Advanced Stage exams are open book to ensure candidates develop a strong understanding of technical concepts and the necessary application skills. Material and resources in hard copy are permitted into the exam hall. Direct entry into the Advanced Stage is a Degree in Accounting from universities accredited by MICPA or CAANZ. Candidates must have completed core accounting subjects at university-level in order to commence the Programme. Our Student Affairs Department will review your academic transcripts and inform you if there are any pre-requisite subjects that need to be completed at the point of registration as a candidate of the Programme. Non-accounting degree holders from accredited universities will need to undergo the Conversion Programme before embarking on the MICPA-CAANZ Programme. We require candidates to be employed with an Approved Training Employer (ATE) whilst pursuing the MICPA-CAANZ Programme. However, we do allow candidates to commence 2 modules (Financial Accounting & Reporting and Taxation) prior to being employed, on condition that they secure employment with an ATE prior to commencing the remaining 3 modules. Candidates are given a duration of 8 years from the time of registration to complete the MICPA-CAANZ Programme. There are 3 terms offered each year, and candidates are only allowed to sit for one (1) module per term. 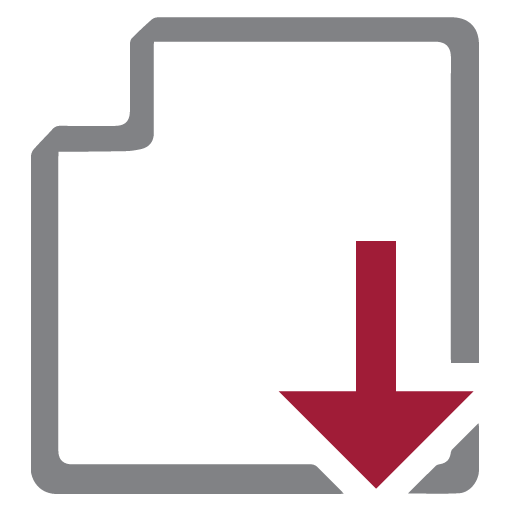 The 4 technical modules must be completed (in any order) before moving on to the final Capstone module. It is important to note the module enrolment dates and ensure that the candidate registration process is complete well before enrolling for your first module. Although the Programme is designed to be self-study, tuition classes are available at Taylor’s College Lakeside Campus, Subang Jaya, for those who require additional support to supplement their study and understanding of the module content. There are usually 7 – 8 weekend (1-day) sessions held per module. Registration for classes will close 2 weeks before module commencement. Please note that tuition fees are not included in the module examination fee. For more info and to register for tuition, contact Taylor’s College at micpa.caanz@taylors.edu.my or 03-5629 5744. As I progressed through the modules, I realized that the Programme is structured to link all the technical modules giving candidates a holistic view of the required knowledge of a Chartered Accountant. The programme helped me to first understand important concepts and equipped me to improve on my application skills, which is an essential skill in the working world. The Programme allows candidates to manage their study time as it is self-study, which has helped me develop my time management skills. The assignments and case studies have enhanced my technical knowledge and analytical thinking skills. Please click here to refer to the scale of fees. Candidates who require additional tuition support for the modules may contact Sunway-TES Sdn Bhd. MICPA is a partner of TalentCorp\’s Upskilling Programme for Accounting.